It's official, although it doesn't feel like it, Spring has sprung and what a perfect excuse that is to update your wardrobe! If you've been reading my blog for a while you'll know neutrals are my thing, so with that in mind, I've put together a little guide for anyone who is thinking of refreshing their wardrobe for SS/15. I tried to select some basics that can all be worn together or styled separately with other items you already own - thats the secret to revamping your style on a budget! I hope you enjoy scrolling through this mini guide and wishing you all a lovely weekend! Love this Suz <3 - everything is perfect! 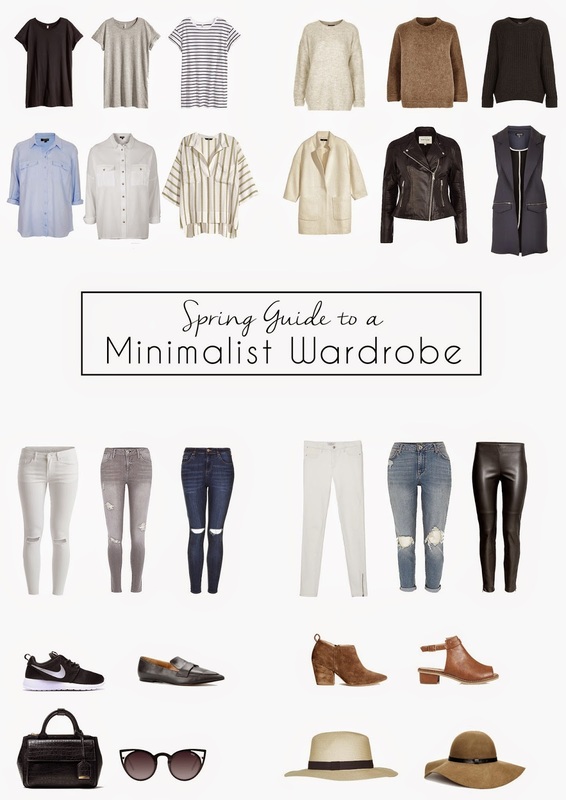 I love this, I am minimalist through and through so this is super inspiring!